Leadership moments come for all of us–some planned and some utterly unexpected. People turn to you for guidance, motivation, and wisdom: you are “it.” Will you be ready to set direction, make decisions, and inspire action when it is needed most? 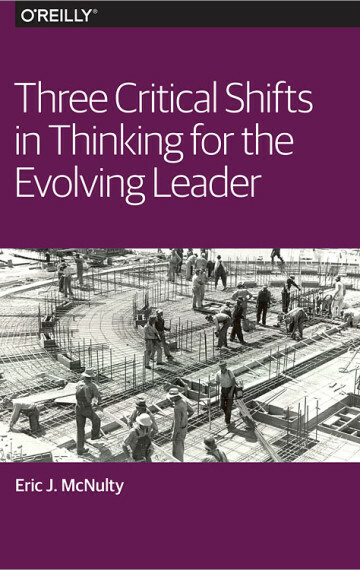 This presentation uses the dimensions of meta-leadership, the core of the curriculum at the National Preparedness Leadership Initiative at Harvard, developed through work with hundreds of leaders in high stakes situations to help participants develop both their leadership capacity and capability. The three dimensions are: 1) The Person: Are you grounded psychologically and cognitively? 2) The Situation: Are you attuned to the changing dynamics of the context in which you are hoping to lead? 3) Connectivity: Do you have positive, productive relationships up, down, across, and beyond the enterprise through which you can extend your impact as a leader? Effective leaders think differently: They are self-aware. They are curious about themselves and others. They understand how to leverage their own capacity and capability as well as that of others. This session will focus on applied neuroscience to help participants understand how their brains function and even how to get “smarter” than their brains to become more effective leaders. One critical function is the instinctual “freeze-flight-fight” response to threat. While valuable to survival, this response—going to the “emotional basement”—blocks critical thinking and complex problem solving necessary for achieving results. Participants will learn how to get themselves and others out of “the basement.” A second exercise will explore the six cognitive functions central to leader success through the POP-DOC Loop: perceive, orient, predict—decide, operationalize, communicate. The third component is cognitive bias/heuristics and their impact on interpersonal relationships, situational awareness, and stakeholder dynamics. The participants will integrate the implications of each of these through facilitated discussion. Leading in dynamic situations requires swift, synchronous action by teams and, at times, multiple stakeholders. Effective leaders facilitate the flow of information, decisions, and resources to increase the likelihood of a positive outcome and shorten the time to get there. Drawing upon the science of swarm intelligence, the study of how non-human species such as bees achieve complex, coordinated activities, this session will explore how human organizations can “swarm.” There are five principles of swarm leadership are: unity of mission, generosity of spirit and action, stay in one’s lane/help others stay in theirs, no ego/no blame, and a foundation of trust-based relationships. The principles of swarm leadership were developed retrospectively through the NPLI’s study of the Boston Marathon bombing response. They were applied proactively by the American Red Cross in their response to Hurricane Harvey in 2017. Through discussion, both cases will be used to explore the relevance of “swarming” to the participants. In this presentation, Eric will introduce his original VUCAST model for understanding turbulence and disruption in the operating environment. From there, he will lead participants through distilling mission into operating principles that facilitate adaptation and transformation; fostering resilience through his ASCEND framework for high-functioning teams; and deploying critical components of trust-building throughout the enterprise. Few sectors are evolving as quickly and dramatically as health care. Navigating this turbulence—in everything from technology to patient expectations to reimbursement models and more—requires leaders who take an enterprise view. Leading in health care in the 21st century requires an artful blend of “same as it ever was” and “you’ve never seen this before.” It means embracing complexity, fostering adaptive capacity, and building resilience–all on a foundation of trust-based relationships with stakeholders. Effective health care leaders use influence well beyond their authority up, down, and across their organizations and beyond to the full range of stakeholders. I present the concepts as well as pragmatic tools for developing these skills and putting them into practice. Health care is an industry in transition—and sometimes convulsive turbulence. Technology and treatments evolve rapidly. Roles shift as business and care models shift. A more diverse workforce brings different backgrounds and expectations. More educated patients come prepared to negotiate their diagnosis and treatment. Everywhere one turns, the system is rife with potential conflict. The ability to mitigate, manage, and resolve conflict is the new core competency for administrators and clinicians alike. In this session, McNulty presents the original, four-step Walk in the Woods framework and practice method for negotiation and conflict resolution that has been used effectively in settings as varied as interpersonal relations and hospital mergers. Eric J. McNulty holds an appointment as Associate Director and Program Faculty at the National Preparedness Leadership Initiative (NPLI), a joint program of the Harvard T.H. Chan School of Public Health and the Center for Public Leadership at Harvard’s Kennedy School of Government and as an Instructor at the Harvard T.H. Chan School of Public Health. He is also Associate Director of the Program for Health Care Negotiation and Conflict Resolution at the Harvard Chan School. His work centers on leadership in high-stakes, high-stress situations. He teaches in multiple executive education programs at Harvard and MIT and graduate-level courses on leadership, negotiation, and conflict resolution at Harvard. He is currently working on a book based on meta-leadership, the core leadership framework of the NPLI curriculum. 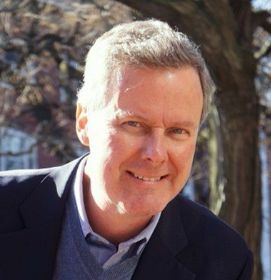 McNulty is the principal author of the NPLI’s case studies on leadership decision making in the Boston Marathon bombing response, innovation in the response Hurricane Sandy and the professional/political interface in the Deepwater Horizon response drawing upon his firsthand research as well as extensive interviews with leaders involved in the responses. 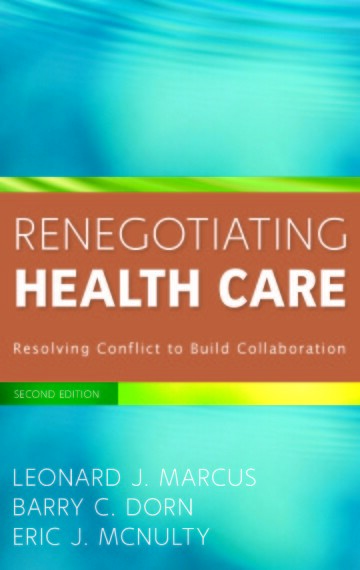 He is the co-author, along with Dr. Leonard Marcus and Dr. Barry Dorn, of the second edition of Renegotiating Health Care: Resolving Conflict to Build Collaboration (Jossey-Bass, 2011). 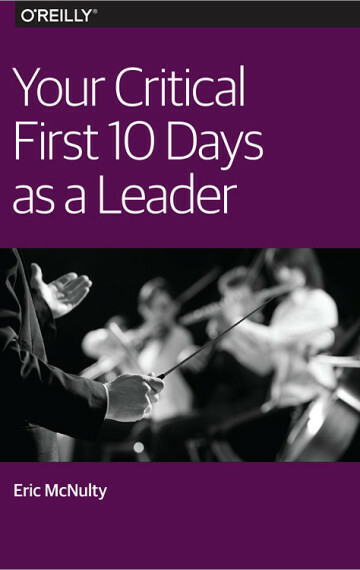 He is co-author of a chapter on meta-leadership in the McGraw-Hill Homeland Security Handbook (2012) and the e-books Your Critical First 10 Days as a Leader (O’Reilly/Safari, 2015) and Three Critical Shifts for the Evolving Leader (O’Reilly, 2016). He was named a Trust Across America Top Thought Leader in Trust in 2018. 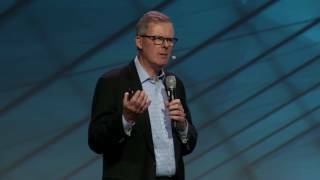 McNulty is a widely published business author, speaker, and researcher. He writes a regular online column for Strategy + Business and contributes to O’Reilly Media. He has written multiple articles for the Harvard Business Review (HBR) as well as articles for Harvard Management Update, Strategy and Innovation, Marketwatch, Sloan Management Review, and Worthwhile magazine among others. His HBR cases have been anthologized and have been used in business education curricula in the United States and as far away as France and the Philippines. Eric has spoken at conferences and other events, developed content, led trainings and workshops, and facilitated meetings for organizations such as Accenture, the Arthur Page Society, BeDo, Boston University Questrom School of Business, Clean Gulf, Coca-Cola, Columbia Business School, the Conference Board, the Executive Council of New York, Harvard Business Publishing, HMG Strategy, Humana, IBM, International Association of Emergency Managers (Candada), International Institute for Analytics, International Rescue Committee, Nuance, Oil Spill Response Group, O'Reilly Media, Premier Farnell, SAS, the Society for Human Resource Management (SHRM), the Transportation Security Administration, United States Secret Service, University of California/San Diego Health, University of Virginia Darden School of Business, UPS, Virtuoso, and other major organizations subject to confidentiality restrictions. Previously, McNulty was Managing Director for Conferences for Harvard Business Publishing. 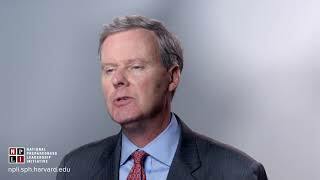 Prior to that, he held management and communications roles in the private sector. McNulty holds a Bachelor of Arts degree in Economics (with honors) from the University of Massachusetts at Amherst and a Master of Arts degree in Leadership from Lesley University. McNulty is an active supporter of holistic approaches to conservation through his Elephant Wisdom Project. He is a former board member of The Family Center (now The Parenting Journey) in Somerville, MA and former member of the Executive Council at Boston PBS affiliate WGBH.